CHICAGO (WLS) -- Some local student athletes are being honored for their work both on and off the field. Whitney Young junior Quinn Gorman was surprised during her P.E. class Friday. 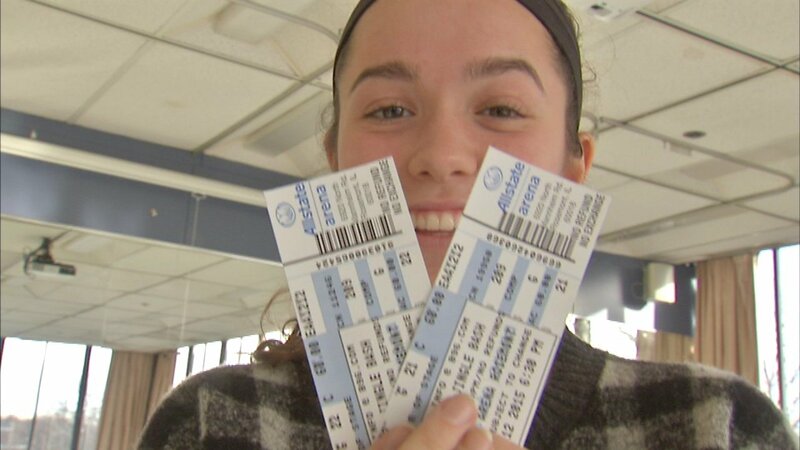 The soccer player is one of six Chicago-area students to receive concert tickets to Saturday's B-96 Jingle Bell Bash, featuring stars such as Demi Lovato and 5 Seconds of Summer. The students all gave back through community service this year.